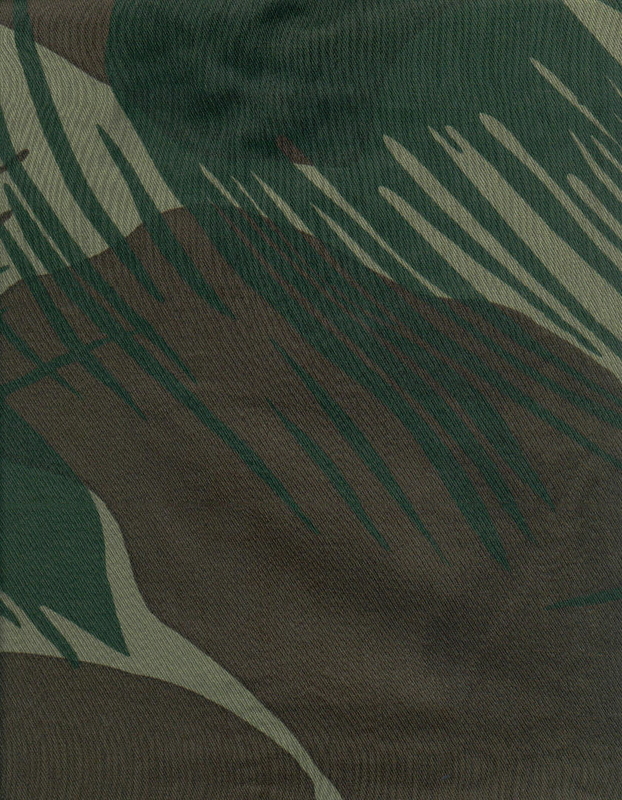 The Jacket webbing was made from camouflage or olive drab material. 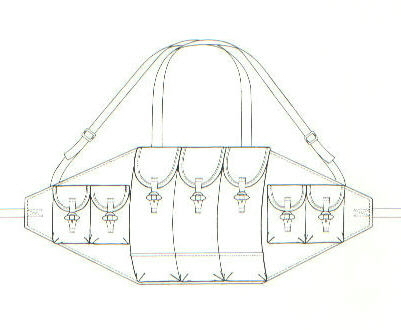 The pouches were generally fastened with press studs and the jacket front and rear pouches were secured with straps and 'D' rings. 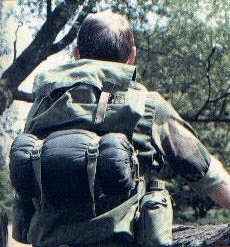 The below picture is a rear view of the Rhodesian jacket webbing, with light weight patrol bag fixed underneath the top pouches. 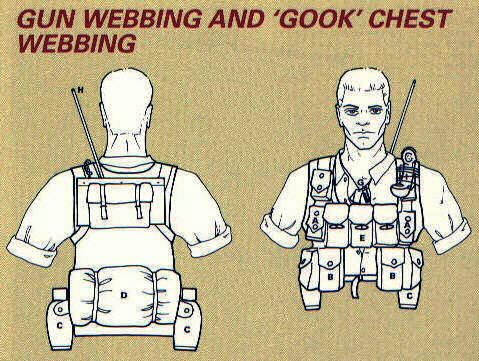 Since the Rhodesian war, assault vest-type webbing has become popular with many Special Forces units and many versions are now available. The belt order could consist of virtually any combination of assorted pouches. Here we have a pair of British G7098 side pouches for magazines, a couple of Rhodesian water bottles and carriers, and a Chinese or East German ammunition / grenade pouches which round out this kit. 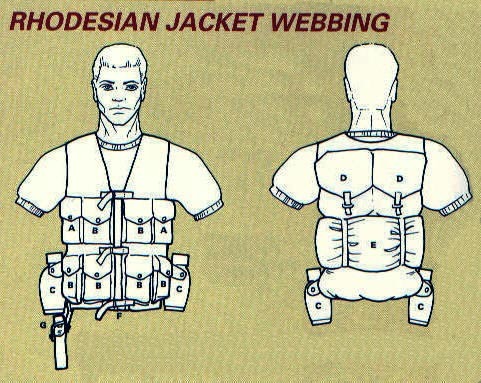 The gun webbing and jacket webbing shown here were manufactured in a shop called 'Feredays' in Salisbury. The A63 field radio could be carried in its own back pack, in the back pouch of the jacket webbing or in the belt order side pouch. The handset was usually secured to the webbing shoulder strap. 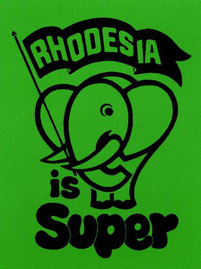 There was an infinite variety of webbing used during the Rhodesian war, it all depended on what you liked and what was available. 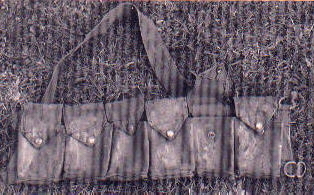 Captured Chinese issue water bottles could be slung or worn on the belt. Yokes were usually attached too, along with a knife and a holster for whatever type of pistol the scout carried. Many Rhodesians preferred captured SKS or AK slings to the issue variety if even used. A favorite of the Selous Scouts. 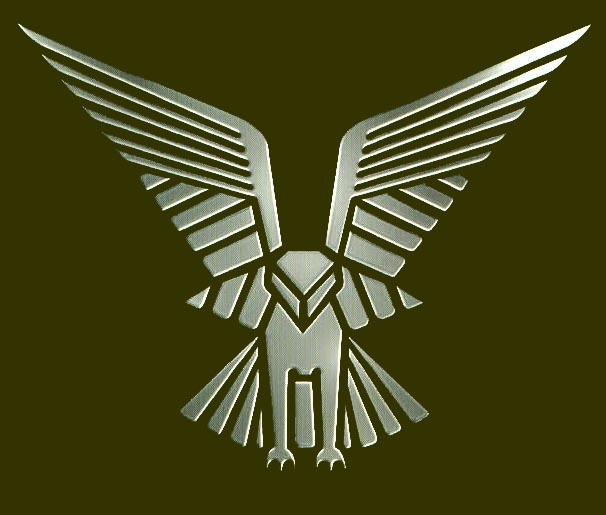 The dress in the Scouts was governed by its effectiveness rather than its regulation uniformity. Shop-bought or 'liberated' chest webbing was a common supplement to regular issue; it came in two weights, of which this webbing is the heavier.